Aero Express is the only US Authorized Distributor for the Malabar Model 8844B Landing Gear Strut Service Cart. 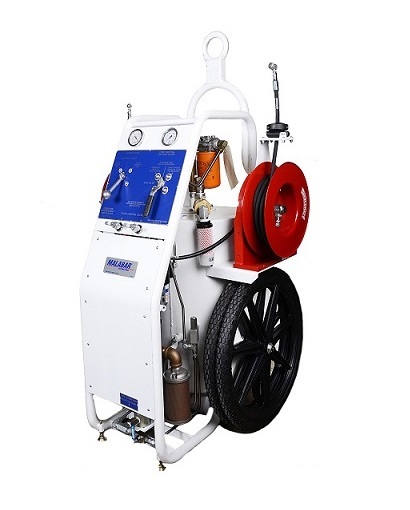 The Model 8844B Landing Gear Strut Service Cart delivers hydraulic fluid and nitrogen to service both single and dual chamber strut aircraft landing gear. The Model 8444B allows quick emptying of used hydraulic fluid and nitrogen from the strut chambers, then refilling and recharging with fresh hydraulic fluid and nitrogen, all without jacking the aircraft. Because jacking is not required with the Model 8844B, the time required to perform this important maintenance procedure is dramatically reduced.